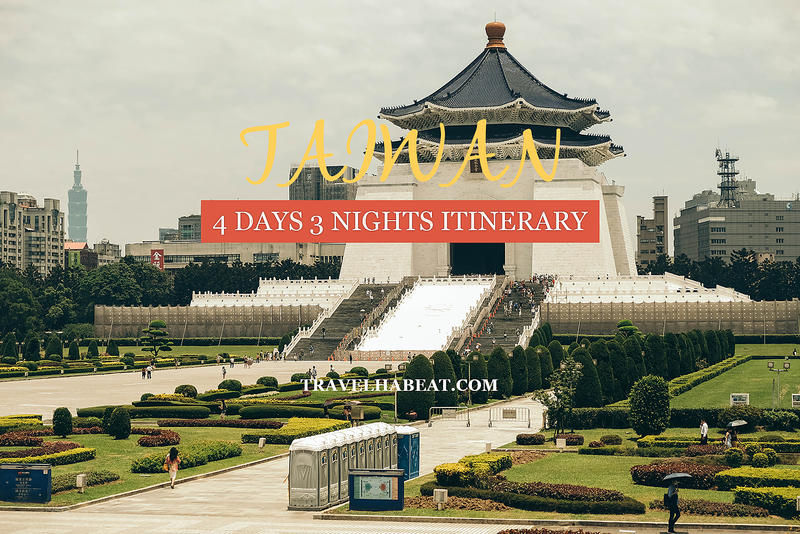 Here’s a sample Taiwan do-it-yourself itinerary for four days and three nights. View from a vantage point in Jiufen. Arrival at Taiwan Taoyuan International Airport. Check-in at the hotel/airbnb. If you’re arriving in Taipei during the wee hours, take the airport shuttle bus 1819 to Taipei Main Station. From there, just take a taxi to your hotel since MRT runs until 12 midnight only. Bank of Taiwan offers a 24-hour foreign currency exchange at the airport. 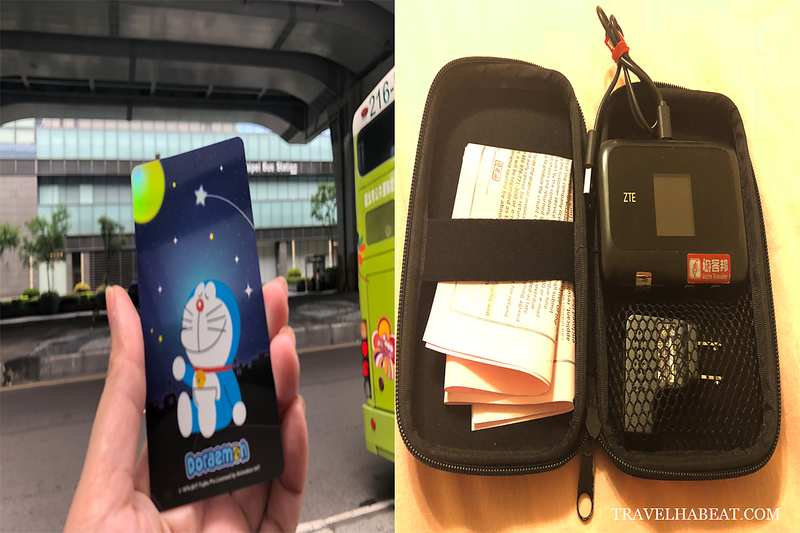 It is recommended to buy an Easycard that you can use when you ride the airport shuttle bus, MRT and city buses while touring around. You can also use the Easycard when buying in convenience stores and eating in some restaurants. Make sure to put load in the card the first time you buy it because it is empty. Renting a pocket wi-fi is a sure lifesaver when touring around. You can get one in the airport as well. If you’re renting for 4 days, just add the cost for 1 Day and 3 Days. So total cost for 4-day rental is NTD188 + NTD500 = NTD688. 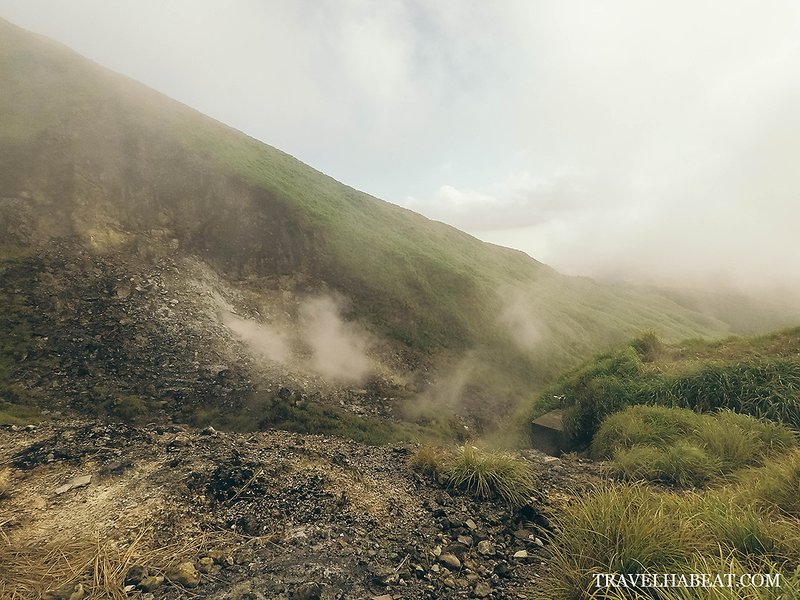 Yangmingshan National Park is one of Taiwan’s beautiful national parks located in Northern Taipei City. 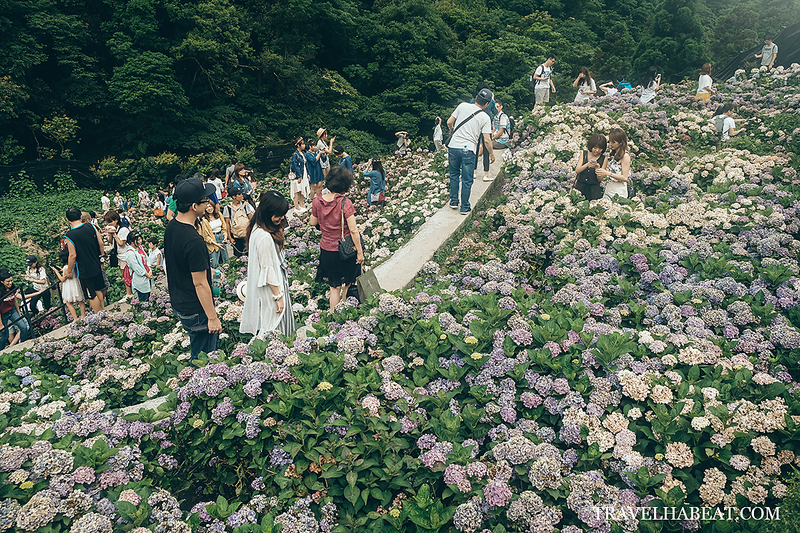 The 125-hectare park offers different attractions like lovely flower gardens, scenic hiking trails, and rejuvenating hot springs. It also has a unique volcanic geography where you can see fumaroles – vents or openings emitting volcanic gases. Xiaoyoukeng is a dormant volcano which some people referred to as fire mountain. The area encompasses volcanic geological landscape. Just be ready with an intense sulfur smell everywhere. Popular for its calla lillies, Zhuzihu used to be a barrier lake but became a farming village after the water receded. 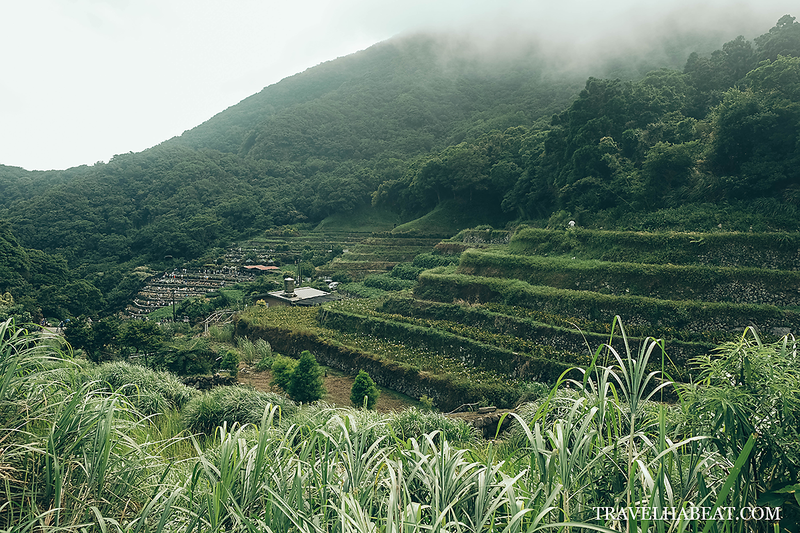 Qingtiangang provides one of the most amazing views in Yangmingshan National Park. Its vast grassland is a sure nature retreat. Option 1: Take the Bus 260 outside Taipei Main Station (near Kuo-Kuang Motor Transport) to Yangmingshan Bus Station. Option 2: Take Bus 230 – MRT Beitou Station to Yangmingshan Bus Station. There are shuttle buses going around Yangmingshan National Park where you can hop on from one scenic spot to another (Easycard is accepted). Go early and decide which of the locations in the park you wanted to visit. People lining up for buses at the stations can get really long. You can also hire a car for convenience (but more expensive). There are also taxis going around the park. 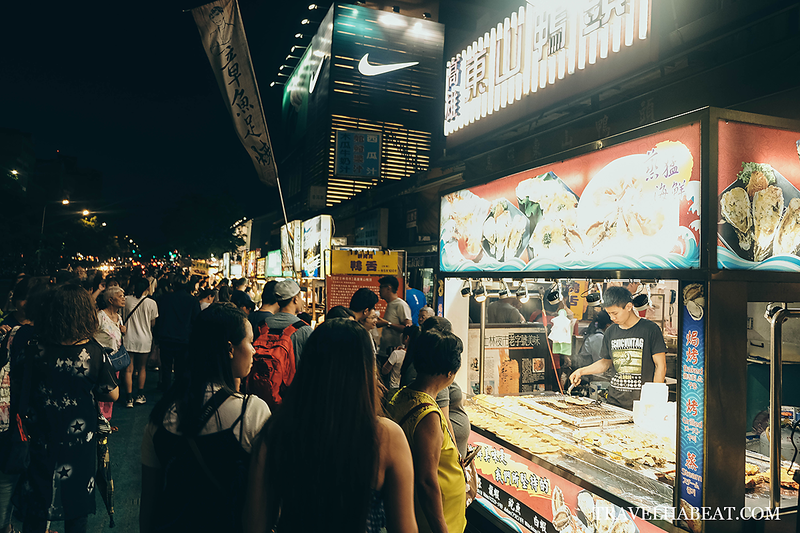 End the day with a food trip at Shilin Night Market. You can also find affordable souvenirs here. 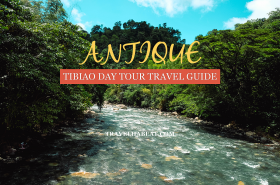 Visit Yehliu, Shifen, and Jiufen in a day. Yehliu is located at Wanli of New Taipei City. 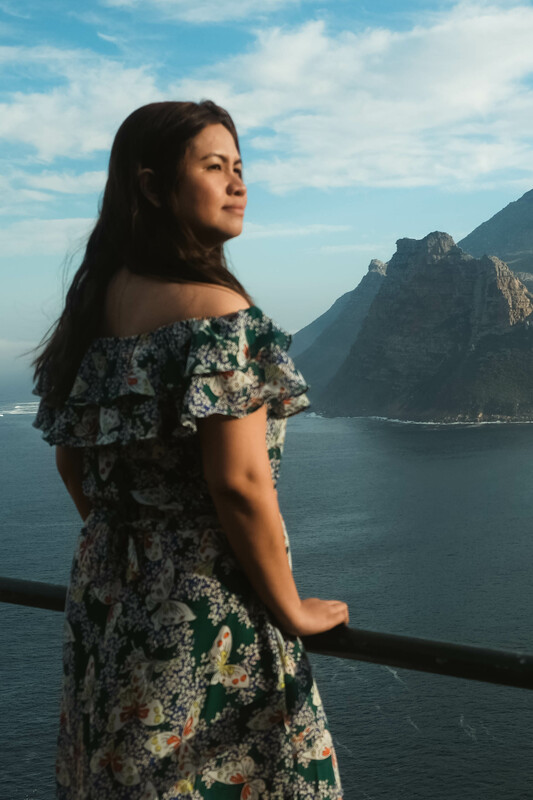 Consisting of a stunning cape, the place is decorated with unique rock formations like Mushroom Rocks, Candle Rocks, Ginger Rocks and the most popular, Queen’s Head. Take a bus in Taipei West Bus Station Terminal A (near Taipei Main Station MRT). 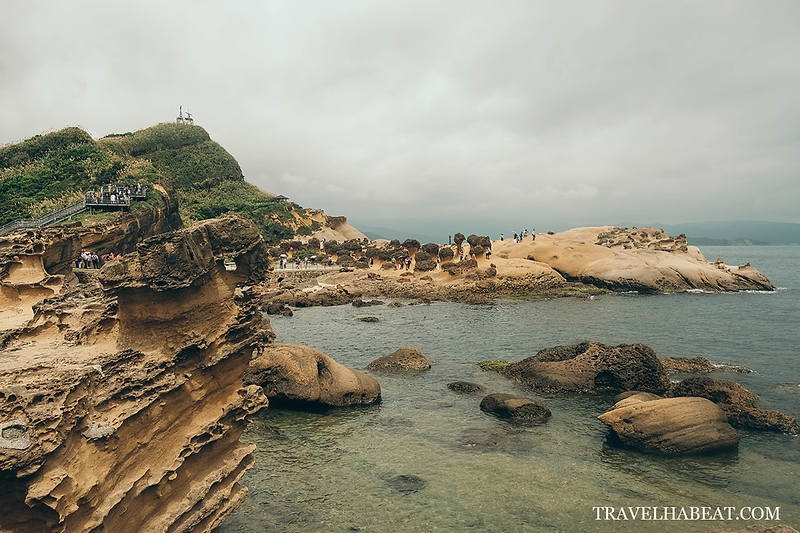 Purchase a ticket to Yehliu Geopark but you can also pay with your Easycard. Travel time is around 90 minutes. Get off at the designated bus stop along the main road and walk (around 10 minutes) until you reach the park entrance. The Queen’s Head is the most popular rock formation that a line to get a photo with it gets really long. Go early or avoid the weekend to skip waiting. Shifen Old Street is a foodie hub and the site for the famous lantern flying activity. 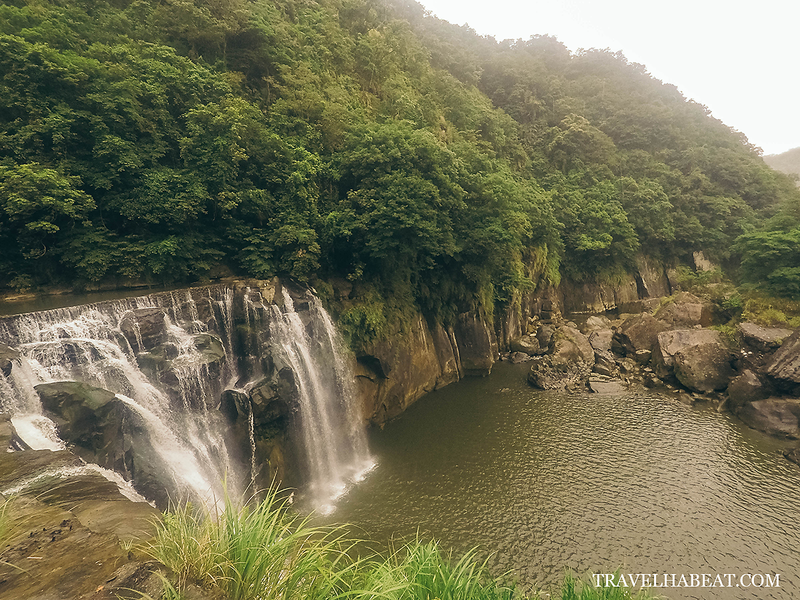 Shifen Waterfall is also a must-see which is considered as the Little Niagara of Taiwan. From Yehliu Geopark, you can hire a taxi to go to Shifen which is the fastest option. There are a lot of taxis just outside Yehliu Geopark and usually they have fare matrix going to Shifen and other sites nearby. When taking the taxi from Yehliu Geopark to Shifen, try to ask for discount. 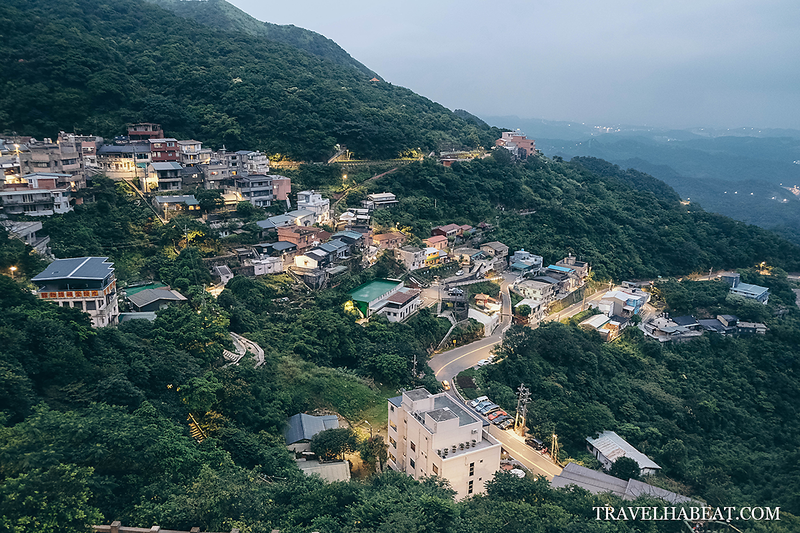 Jiufen is built on the side of a hill where you can get a nice city view. 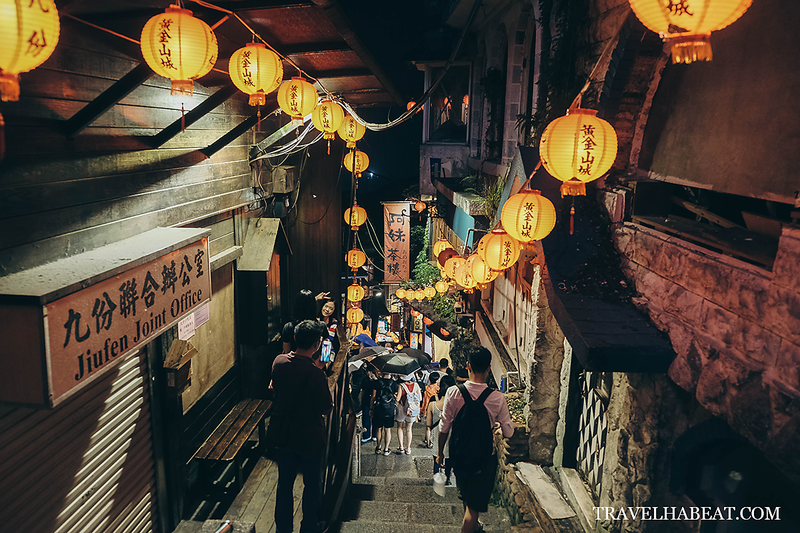 You’ll be amazed by its picturesque, narrow streets decorated by red lanterns. 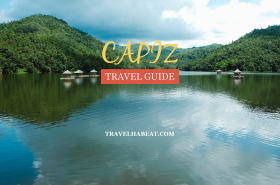 Two things you’ll surely enjoy here: shopping and food trip! You can take a train from Shifen to Jiufen (you can use Easycard). 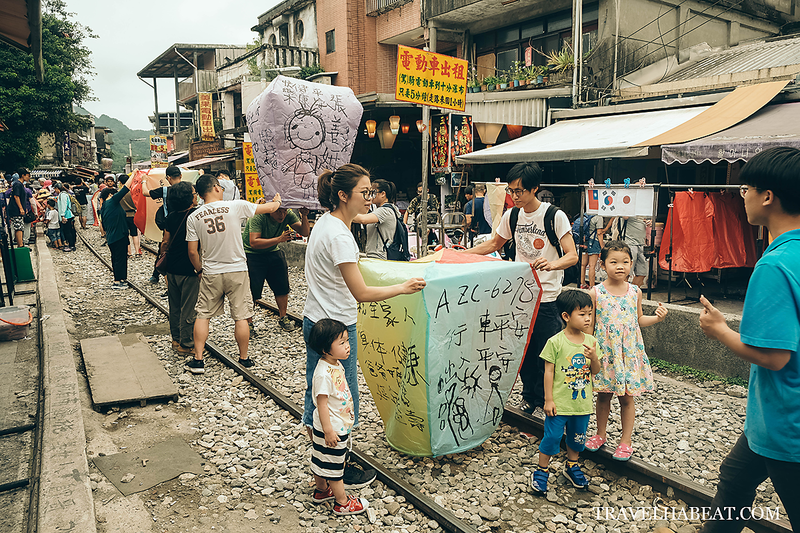 Walk straight at the old railway in Shifen until you reach Shifen Station (Pingxi Line). Get off at Ruifang Station. Upon exiting the station (you will see Wellcome Supermarket across the street), turn left to Mingdeng Road. You will pass by a police station and next to it is the bus station. Ride Bus 1062 going to Jiufen. With Taiwan’s efficient train system, getting around the city is just a piece of cake. The memorial hall dedicated to Chiang Kai Shek is surrounded by a beautifully landscaped garden. Catch the Changing of the Guards ceremony that happens every hour until 5PM. 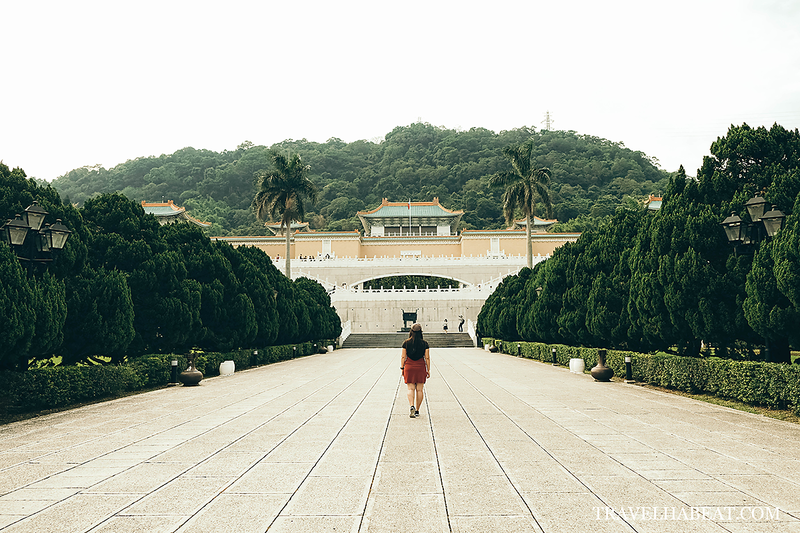 How to Get There: Ride the MRT Green or Red line and get off at Chiang Kai-shek Memorial. Go to Exit 5. 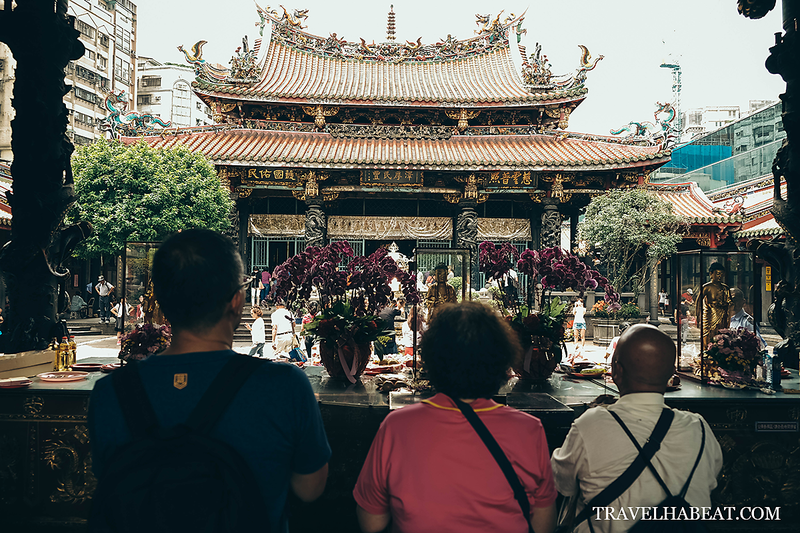 Longshan Temple is one of the largest and oldest temples in Taiwan located in Wanhua District. It is really a busy place with many people actively worshipping and giving their offerings. How to Get There: Ride the MRT Blue Line and take Exit 1. 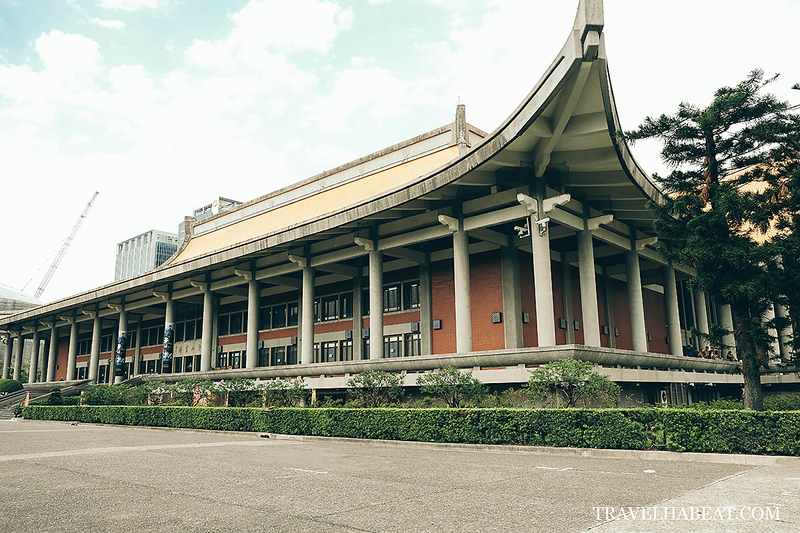 Sun Yat-sen Memorial Hall was built in 1972 as a tribute to Dr. Sun Yat-sen, the father of the Republic of China. How to Get There: Ride the MRT Blue Line and get off at S.Y.S Memorial Hall station. Take Exit 4. 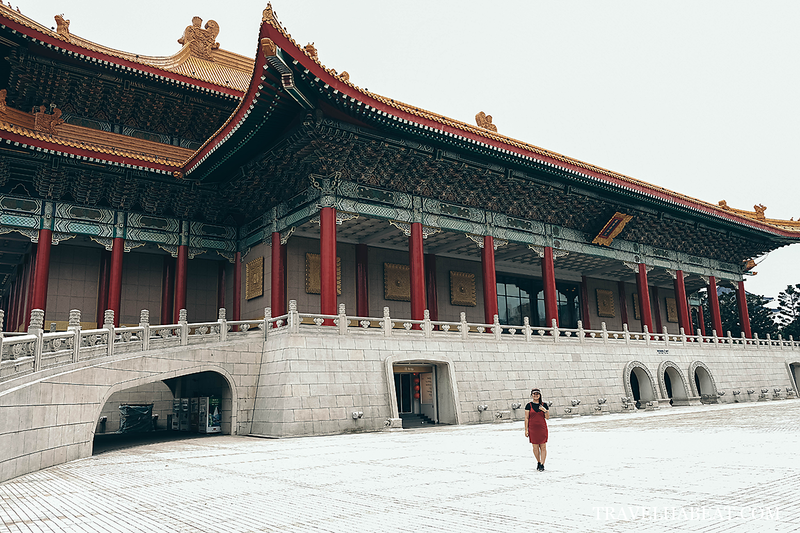 The National Palace Museum in Taipei is one of the most visited museums in the world. It has the largest collection of Chinese art spread over four floors. How to Get There: Ride the MRT Red Line and alight at Shilin Station. Walk a little towards the highway and ride Bus 18. 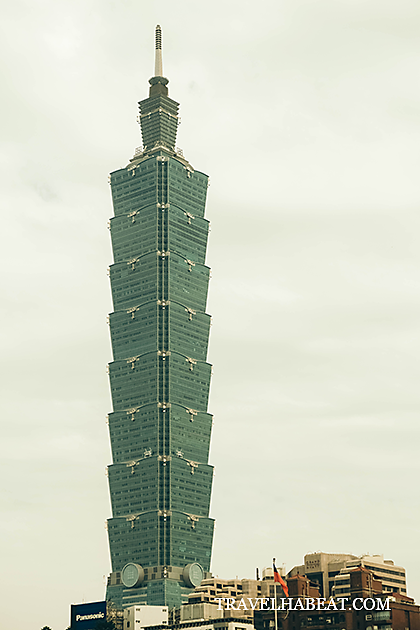 Holding a world record for the fastest elevator in the world, Taipei 101 is no doubt Taiwan’s most photographed landmark. 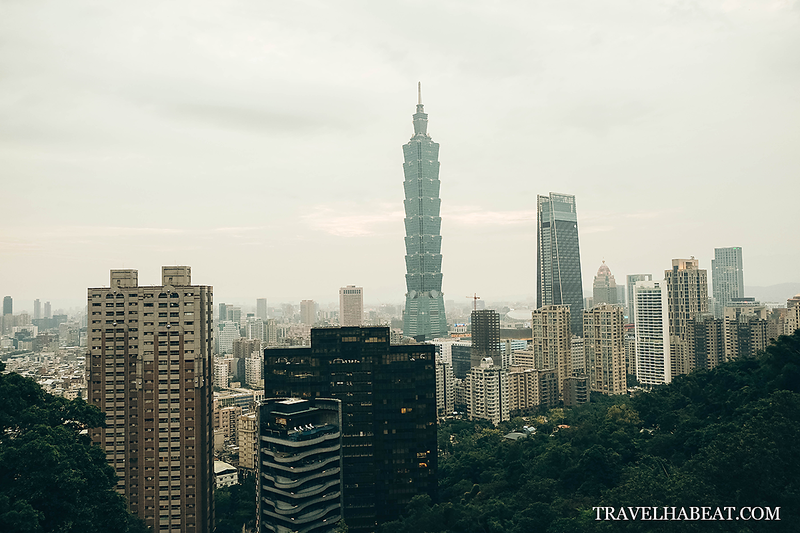 How to Get There: Ride the MRT Red Line and alight at Taipei 101 station. Hike the concrete pathway of Elephant Mountain and get an amazing view of the city! There are several vantage points where you can take cool photos. How to Get There: Ride the MRT Red Line and alight at Xiangshan station. Take Exit 2. You will see a park outside the station and just follow the signage going to Elephant Mountain. View from a vantage point at Elephant Mountain. When going around the city, make sure to buy an Easycard because MRT fare is cheaper using it. You can also use it when riding buses. There is also an option for the normal train service which will pass by all stations. TPE Airport – Terminal 1 is the 12th station and TPE Airport – Terminal 2 is the 13th station from Taipei Main Station.